Asked to design a 9' x 17' pergola that could be erected in 2½ hours, stand securely for two weeks, taken down and stored and then used the next year and then over and over, we didn't think it was possible. 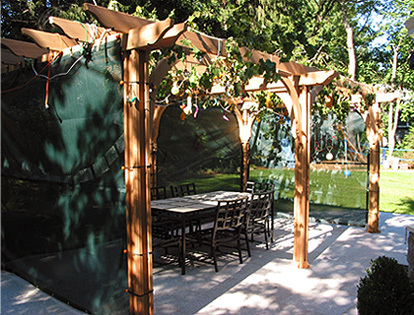 Fortunately, our client persisted and we created his sukkah for him. This beautiful structure can be either temporarily or permanently installed and is perfect for holiday celebrations.